I’m really excited to introduce you all to Whitney Howard Designs. They are our new sponsor at SoCal Lady Bloggers and I have been in love with their line of inspirational jewelry for years. My husband Howard and I, share more than a marriage and three children. We also share a unique sense for creating “heartfelt art objects.” Since we first met, we had chemistry for creating not just a loving relationship, but we had a natural creative spark to create meaningful things. When we first started dating we started a candle company called Cosmic Relief Zodiac Candles. Our candles really took off and before we knew it, we were selling to shops across the country. I went on to open a retail shop with my sister, called Handle With Care. Handle with Care was an extraordinary retail shop, and we were open for 16 fantastic years. Howard spent years in the corporate world learning and gaining the experience necessary to lead Whitney Howard Designs in the right direction. Howard and I learned early on in our relationship that we had the magic needed to be able to work together and really enjoy it. Flash forward to the present. We have a beautiful family and a business we love. The Studio at Whitney Howard Designs is a workplace that brings us much joy. Howard and I are grateful to be able to express ourselves as artists and designers of products that touch peoples’ lives. Our entire collection is inspired by our desire to bring peace, love, healing, and gratitude to those who give and receive them. Our newest collaboration is The Shop, a retail space for Whitney Howard Designs and most especially a debut to our three children’s businesses. Our intention with The Shop is to allow our children to learn about the American Dream first hand. We want our children to thrive in school and in the world around them. Allowing our children to have their businesses within The Shop allows them to learn about business, how to be an entrepreneur and to build confidence. All our fans and retailers can look forward to our newest feature debuting in January 2012. It is called our Quick Tip Accessories Minute. Every few weeks I send out a Quick Tip Accessories Minute that will feature me talking about a specific piece from the Whitney Howard Designs Collection. This will give me an opportunity to tell you all why I created that item and why it is special to wear or give as a gift. I look forward to creating these videos for anyone interested in learning more about our collection. Read about the Swhwartz kids’ business in The LA Daily News. Whitney Howard Designs is providing all our members with a special key that is inscribed “Inspire”. 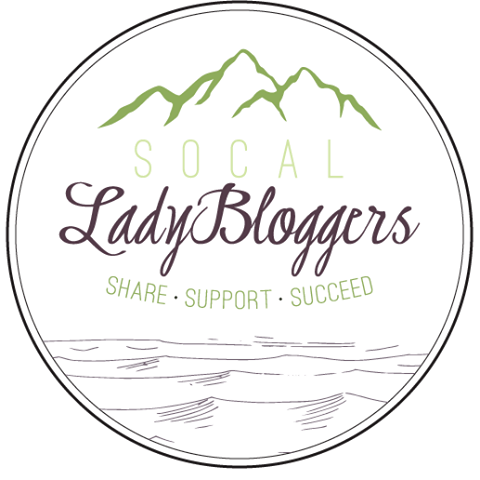 We hope that SoCal Lady Bloggers can provide the inspiration you need to succeed in all your endeavours. To get your key, join us on Facebook and Twitter and come to one of our monthly luncheons. We’d also love you to follow Whitney Howard Designs on Facebook and Twitter. And let them know SoCal Lady Bloggers sent you. We’ll be meeting in the restaurant of this fabulous winery but don’t feel like you need to down a few. The reason we hold these get-togethers is so we can meet and support each other. Enjoy lunch or do a little wine tasting. Or just come and laugh… we do a lot of that around here. Today we get to travel all over Southern California with our Progressive Dinner blog hop! The most romantic holiday of the year is coming up, and whether you plan on sharing it with a spouse, a partner, a special someone or your whole family, we have some mouth-watering dinner ideas! Here we have the links to every recipe in our progressive dinner, or take a trip through the whole meal by starting at the first blog and clicking your way through! Each blog has the link to the next recipe and also links back to here. Love these recipes? Pin these great recipes on Pinterest! A nice romantic appetizer can be eaten by hand while gazing into each other’s eyes. Try the Strawberry Bruschetta from The Wonder Years or the Bruschetta Hearts from The Jolly Tomato. ‘Lettuce’ take it a step further with Baby Baby Lemon‘s Sweetheart Salad. The Gonzo Gourmet offers an intimate main with Steakhouse Steaks for Two. Or, offer a creamy family-style dish with Sarcastic, Funny and Brutally Honest’s Creamy Chicken Florentine. Woo your special someone with a sweet dessert- try Create-Celebrate-Explore‘s Baked Mini Cheesecakes or make it special with This Talk Ain’t Cheap‘s White Chocolate Creme Brulee. Do you have a special recipe you love to make for a romantic evening? There is something that bonds bloggers together. 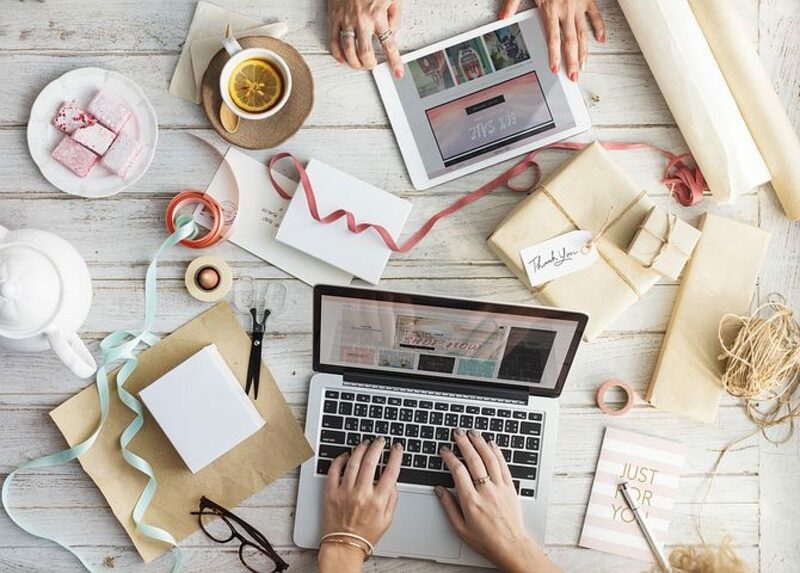 I don’t know if it’s the struggle with writers block, the fear of blog post backlash, or the constant fear that technology will turn on you and you’ll wake up one day with no blog, no facebook friends and no twitter followers. Or… it could just be as simple as a Sunday lunch with some really great gals and a whole lot of laughs. On Sunday, we had a great time getting to know each other at Wood Ranch in Northridge, CA. A huge shout-out to our server, Becky, who put up with all our craziness. I think SoCal Lady Bloggers now has our own official drink: The Ginger Ale and Gin (courtesy of Sidney). 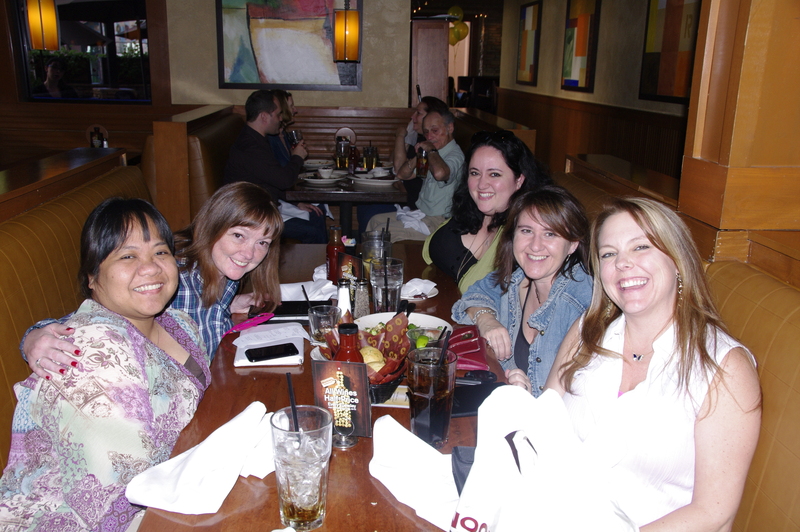 I am constantly impressed by all the amazing bloggers I have had the fortune to meet since SoCal Lady Bloggers began. What a genuinely nice, honest, down-to-earth group of women. I can’t wait for our next event. You ladies Rock! The stores are full of red hearts, romantic decorations and Pinterest is full of candy-holding card ideas. Valentine’s Day is approaching, and we have a fun event we’d like to share with all of you. We will soon be hosting a romantic progressive dinner here and would love for you to come! We already have some culinary-minded bloggers who are committed to posting romance-minded recipes on their blogs. Looking for a new dish to share with a loved one? Stumped on what might make a meal feel special? This will be the place for you! The progressive dinner will be linked up in its entirety here, but each blogger will feature links to the next course in the meal. It’s bound to be delicious! The date has not been finalized, as we are looking for a few more ladies to host a course on their blogs. We are still looking for appetizers, beverages, sides, mains and desserts. The progressive dinner needs to be an original post, although it does not have to be a new recipe to your blog. 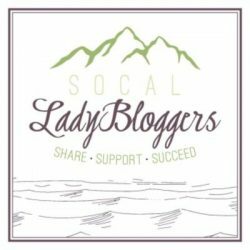 Please email us at socalladybloggers@gmail.com with your first and second preference on course you would like to host on your blog. We will respond with more information about the progressive dinner soon. 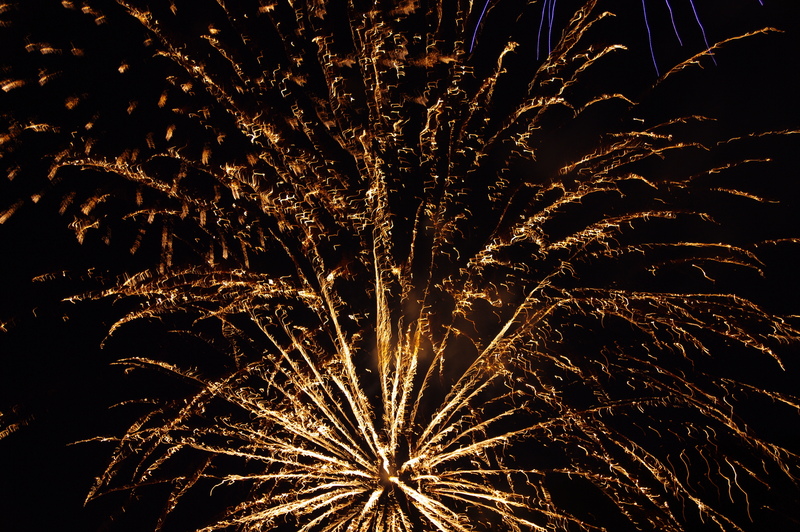 Make 2012 the year you SHINE!